Making sure your business processes are efficient can really make both everyday business tasks and future ones so much easier – which is why HBXL is a valuable investment for the future of your business. Our X-Connex technology brings you software that’s integrated. Each programme can work together using one set of data to speed up your admin, reduce errors and eliminate double handling. So, whether it’s help with estimating, drawing up plans, building contracts, health and safety, managing your projects or your money more efficiently, HBXL helps you work faster and smarter. 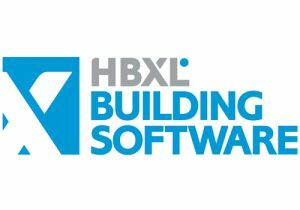 HBXL is the UK market leader in construction software for Small to Medium sized businesses and 1000s of licences are being used around the UK. We’re proud that it has been proven to help builders win 230% more business and slash estimating time by more than 60%! What’s more, we’re in it for the long haul. We pride ourselves on our high level of on-going customer support. Every purchase comes with 12 months support and updates, including phone and online support, user-guides, how-to videos, and a useful Knowledgebase. Then there’s our dedicated Development team who work on bringing you the latest software solutions and improvements – and of course our wide range of online resources help too. So you can sit back and relax, safe in the knowledge that we’ve got your back – every step of the journey.